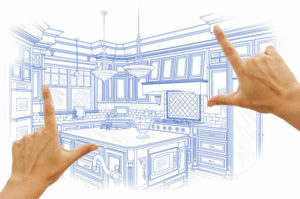 Our Process – T&G Construction Inc.
Home renovation projects are new to some homeowners and big projects can be daunting even if someone else is doing the “heavy lifting”. We have outlined our process from start to finish to give you an idea of what to expect when working with T&G. You can call our office, email us, or submit a request for an appointment on our website. The second step is to get a consultation scheduled. T&G will send an estimator to your home or business to look at and discuss your project. We will go over your visions, budget and anticipated timeline for your project. You will receive a detailed, itemized estimate through Quickbooks sent from our info@tgconstructioninc.com address. You will receive your estimate within 7 days of the estimator meeting and going over your project.Once you have received your quote, please feel free to call or email with any questions or concerns. We can work with you to revise your scope or explain any items in further detail. By accepting our bid you are agreeing to work with our Company to complete your project. This step Included Basic budget outline and Signed Contract. We are now partners in the Renovation/Construction process! 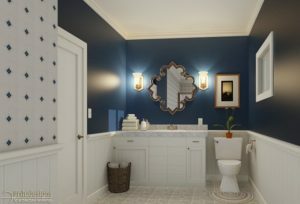 Upon deciding to go with our company for your project, we will then schedule a design/material meeting.During this meeting, we will discuss design options if you need assistance with your selections or specifics of who will be purchasing/picking up materials that you have already chosen.Certified Bathroom Designer will explore and consider several design options and develop suggested room and cabinet layouts based upon your input. Final decisions are verified on all selections. This is the time to make any last min changes before Construction. We then will establish a timeline and set expectations. At this step all Building permits will be submitted. T&G respects and honors your home and your family. It is our goal to communicate with you throughout your whole project. A project manager will be assigned to your project and will be in close contact with you daily. Customers can also follow Construction schedules and process online 24/7. All this leads to T&G’s goal of on-time and on-budget project leading to: Happy Clients!